High temperatures of the hardware that you are using are the best indicators that something is wrong with your system. This especially stands for CPU, which presents a center of your entire system, and its overheating can cause serious consequences, such as random PC shut-downs, BSOD (Blue Screen of Death), etc. Those are just some of the first symptoms that can get much worse, and eventually cause a hardware failure, mostly of CPU, but also other components, such as a motherboard. These breakdowns mostly come as a result of constant exposure to high temperatures, which eventually damages the electrical and other sockets on the hardware and lead to unwanted consequences. In other words, CPU overheating is not just a problem of the processor, but the entire computer, because it leads to the rapid deterioration of the majority of the components, a decrease in their life expectancy and it will ultimately draw them to a complete shutdown. When talking about safe CPU temp, it is impossible to give a universal answer, since every processor is a story for itself. It all depends on the manufacturer, top clock speed, etc. These varying factors are crucial for determining the normal CPU temp and are different from the processor to processor; therefore, the only way to know the average CPU temp is by looking it up in a table like this one. You should keep in mind that these numbers are just a reference and are here to give you a perspective on whether everything is ok with your CPU. Be aware that they are achieved under medium load and if you are reaching them as soon as you turn on your PC, there is probably something wrong. They should be reached when, for instance, you are simultaneously listening to YouTube, browsing and you have a few apps opened. If your temperatures are around the listed values in a situation like this, you are fine, but if they exceed them by 15, 20 or maybe 30 degrees, you need to check if everything is ok.
As previously said, the average temperature is here just for orientation purposes because it is not that exact. Therefore, for any serious analysis of the health of your computer, idle CPU temperature and one that is achieved under the maximum load, are more. Idle temperature is the value that you get when you turn on your PC and the operating system fully loads and all the starting processes finish. In that state, when the OS is on and together with apps doesn’t perform any operations other than the necessary ones, you will get the idle temperature of your CPU. Maximum temp or the temperature reached under the maximum load is, like its name tells, the temperature that the CPU gets when it works under the 100% load. In the case of Intel processors, there is a defined maximum temperature, called TJunction or TJ Max, which presents a bordering value. That is the temperature under which processors start to throttle and decrease their performance. Until they reach that temperature, the CPUs will work without any problem (unless they have been previously exposed to near TJ Max temperatures for a longer period), but as soon as they reach it, the problems will start. TJuction temperature won’t turn off your computer right away, it will first try to lower the temperature by reducing the power that reaches the CPU (throttle) and if that doesn’t succeed, it will turn off the processor to prevent any further damage. In the case of AMD processors, there are unfortunately no defined maximum temps. Their thermal protection is similar to the Intel’s: the processors first start to throttle, and if that doesn’t help, they turn off. Since there are no official values, the only way to find the maximum temps is by searching the forums and reading about the other people’s experiences in this matter. After that very difficult step of finding out the answer to the question: “How hot should my CPU be?”, we are going to the next phase and that is how to monitor your CPU temperatures. One of the simplest ways to check if your PC has a normal CPU temp is through BIOS. All you need is to restart your computer and enter the BIOS settings. In the most cases, after the restart you need to press the F2 or DEL key (it depends on the motherboard manufacturer) and BIOS, or in the case of the newer motherboards, UEFI BIOS, is in front of you. It might look confusing if you see it for the first time, but you will need only a few moments to figure it all out and find the information you are looking for. Unfortunately, BIOS temperature reading has its limitations: it shows only the idle temperature and not the ones under heavy load. In other words, this temperature should only be a reference. Another thing that proves this reading not that useful is the fact that BIOS basically keeps your PC in booting stage, which means that it uses higher voltage levels in order to ensure the processor initialization. This eventually leads to slightly higher temperature values than those that would be reached under OS idling, which just adds to the impression that BIOS temperature values are just a hint to whether your computer has a good CPU temp. Intel XTU is a very robust, great performance-tuning software that allows for serious overclocking, but more importantly, monitoring and stress testing a whole system, including CPU. With this software, you can observe your CPU temperatures on various occasions and under different loads thanks to the stress testing feature, which can give you a better look into your CPU temperatures. Of course, that works only if you have an Intel processor, otherwise you have to look for a different solution. Another downside of the Intel XTU is its stress testing that isn’t as efficient as some other tools (Prime95 or AIDA64) that are going to be mentioned later. This means that the stress testing under the 100% load isn’t really a 100% load, but smaller, which makes the maximum CPU temperatures reached not really maximum. In other words, Intel XTU can’t give you completely precise values, but is good enough to determine if there is a problem or not. Another quality software that you can use for monitoring is certainly Ryzen Master Utility that was made to allow easy overclocking, just like the Intel Extreme Tuning Utility. Other than its primary role, it also offers stress testing and monitoring options that make it a more than a suitable option for controlling your CPU values, including temp. Unfortunately, as Intel XTU is only limited to Intel processors, Ryzen Master Utility is limited only to the Ryzen ones. It cannot be used for any other AMD CPUs which drastically narrows its usability, but still presents a decent solution for CPU temps monitoring. Another great, high-quality software that will help you determine your CPU temperature is OpenHardwareMonitor, which is both free and allows for monitoring the most important data. Not only that, but this program works on 32-bit and 64-bit Windows and x86 Linux based OSs, making it suitable for almost any configuration. The only downside is that it doesn’t have any built-in stress testing, which means you will need some other software that will bring your CPU to its limits. AIDA 64 is a very popular and highly capable piece of software that offers plenty of features, including benchmarking, monitoring, stress testing, diagnostics and many more. It is made for various operating systems from Windows and iOS, to Android, Windows Phone, Chrome OS, Tizen, etc. Although this is surely one of the best solutions for monitoring and diagnostics in general, you must be aware that it is free only for a trial period of 30-days, after which you’ll have to purchase it. The fact that you need to pay for it makes AIDA64 a little less attractive but still doesn’t change the fact that it is a great piece of software. Another software on our list that will deliver the needed temperatures is HWMonitor. This is a program that tracks vital computer statistics, such as the components’ temperatures. Not that great when we are talking about the variety of features, but good enough to help you see the values that you need, and more importantly, free. Although Prime95 isn’t a monitoring software and won’t show you your CPU temperature, it is a very important piece of the puzzle for determining your CPU maximum temp. Depending on the mode of a torture test that you choose, Prime95 can stress your CPU with a 100% load, which gives you the opportunity to see the maximum temperature values with one of the monitoring software previously mentioned. Yes, that demands the simultaneous use of two programs, but the results that you will get are more than pleasing. Only AIDA64 offers a one program solution (stress testing and monitoring in one) that is good enough to give you the proper values, but it is not free. Therefore, if you are not interested in investing money into this, you will have to satisfy for a two-program solution. Small FFT test is the most suitable for testing the CPU temperature because it stresses the processor with a 100% load and produces the maximum heat, while other modes are more dedicated to testing other hardware. When talking about Prime95, it should be mentioned that the best version for stress testing is Prime95 v26.6., because newer versions have a tendency to torture the CPU with more than a 100% load, giving the higher temperature values, while older versions are lacking some of the quality features and are therefore less suitable for the role. After you have determined how to check your maximum CPU temperature and you’ve finally checked it, there goes the next step. Of course, if you are in the safe zone, the rest of the text will be more of an informational nature to you, but if you’ve encountered CPU overheating, read the following lines very carefully. The first thing you are going to do when your CPU is overheating is checking the heatsink(s). If you haven’t cleaned it for a long time, or maybe ever, there is a big chance that the problem lays there. Because most the heatsinks have fans on top of them, they are attracting dust in large quantities. Therefore, if you haven’t cleaned it recently, there is a huge chance you have a ball of dust in your heatsink. You can clean it with a vacuum cleaner (just be careful not to break anything), but a better solution would definitely be an air compressor that will blow away all the dust particles and leave your heatsink in a dust-free environment. The only thing you should have in mind is to use the compressor outside. The reason is simple: a compressor blows the dust into the air and if you would do it inside of your house, you would just move the dust from the heatsink to your furniture, which is something you don’t want to do. Another reason for CPU overheating could be poor airflow. Maybe your CPU cooler just doesn’t get enough fresh air and is ultimately overheating because of that. If there are no fans inside of your PC case, maybe it is a good moment to finally buy and install them. They are generally not expensive but can make a huge difference. One fan in the front of the case and another at the back should be sufficient for the majority of the configurations unless you are into overclocking that demands for a more serious approach to airflow and is more an individual thing that may vary from case to case. Therefore, if you don’t have any fans, install them as advised. If your case doesn’t support for a front fan, install a fan anywhere on it – even one fan on the rear, top, or a side of your case can be of a great help. Even if you don’t want to buy fans, or have no place to mount them, there is a solution – simply keep your PC case open to avoid heat buildup inside. One of the steps in lowering your CPU temperature is also changing the thermal paste. Although this action usually doesn’t make a huge of a difference, there are cases when this actually helps – such as the case of poor thermal paste application. In other words, unless you’ve recently changed your PC’s thermal paste or your computer is a fresh build, there is little chance that this change will make any difference. It is up to you if you’ll re-apply it, but the fact is that it won’t harm your PC, so maybe it is better to be safe than sorry and to be sure you’ve done everything that is in your power. Ambient temperature is another variable that can notably influence your CPU temperature. Most of us usually don’t think about it as a cause of overheating, but truth is that room temperature can drastically increase or decrease the temperature values of all the computer components. From the scientific point of view, ambient room temperature is considered to be between 20°C/68°F and 26°C/79°F, with an average of 23°C/73°F. In the case of computers, this means that as soon as the ambient temperature rises above the 23°C/73°F, the CPU temperature will have a linear grow. In other words, if the ambient temperature increases by one degree Celsius, the CPU temperature will also increase by a similar value. This can prove to be problematic, especially during the summer months. Luckily, it can be handled by the usage of an AC, which will surely increase your electricity bills but will keep your normal CPU temp even during the hottest days. If that is not the option for you and you don’t want to change your ambient temperature, you can always maximize the cooling of your PC by disabling all the saving/silent modes and installing additional fans that will make the CPU temps more tolerable. One of the options in decreasing your CPU temps can also be that you move from air cooling to water cooling. Although there are CPU coolers that give equally good cooling results as their water-cooling counterparts, the fact is that water-cooling generally brings lower temperatures. Because of that, it may be a solution to your problem – of course, only if you are absolutely sure that there is no faulty hardware in your configuration. Because if there is, you are going to purchase not only the replacement part for your broken hardware but also a CPU water-cooler that you really don’t need. If your problem persists even after you have taken all the necessary measures, there is a huge possibility that some of your hardware is broken. In that case, you are left with only one scenario and that is to take your PC to the store where you bought it, or if your warranty has expired, to a repair shop. The problem could be in a faulty power supply, the motherboard or even the processor itself, but that should be left to the professionals to handle and diagnose. Luckily, there is a solution for every situation. The only difference is in how serious the problem is and what type of intervention is needed, or in other words, how much it is going to cost you. The CPU overheating is a serious issue and needs to be handled in order not to cause any serious damage to your hardware, but there is no reason for fear – it doesn’t mean your components will fail as soon as your processor enters the “red zone”. It will break them after the constant exposure to high temperatures, but while that is more of a single or couple of times situation, rather than a regular thing, you are fine. Just make sure to fix the issue as soon as you can and your PC will rise and shine again. 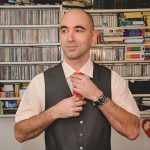 Miodrag Matović is a tech geek who loves writing about everything related to computers. He’s a graduate graphic designer, but found his passion elsewhere. In his free time, he likes to spend time with his family, dance with his wife, and put together new computers. Maxnomic vs DXRacer: Who’s the Winner?